The Annual SCSI 5-Aside Soccer Tournament took place in the grounds of Pembroke Wanders on 23rd of August and was organised by Ciaran Lydon (Savills) and Antoine Xavier (Xavier McCaffrey) on behalf of the Young Members Committee. 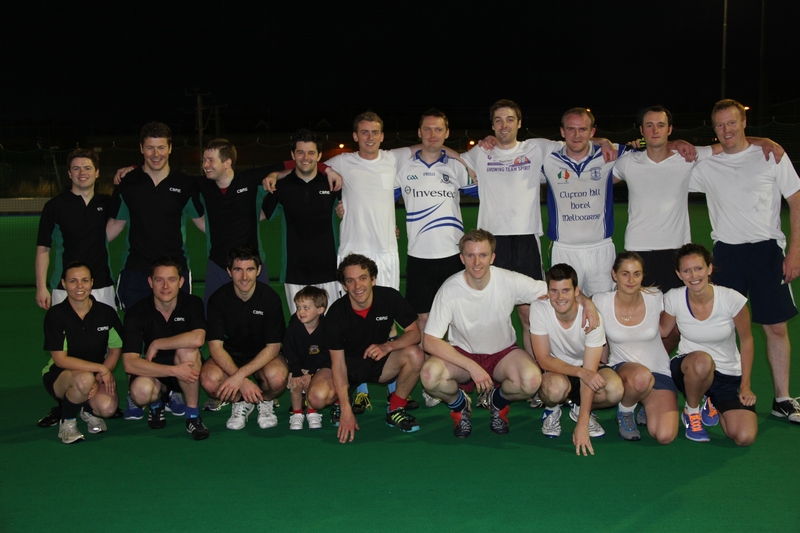 The event proved to be another exciting and action packed evening amongst the sporting surveyors. Supporters were not left disappointed with the large cohort of Property and Quantity Surveying firms battling it out for a place in the final of the prestigious soccer tournament. Referee Danny O’Connor, from JLL London, had no easy task on his hands as finalists CBRE and DTZ brought it right down to the wire with a 1-1 draw bringing the tournament to a close with a nail biting penalty shoot-out resulting in a 4-2 win to DTZ. Ciaran Lydon presented winners DTZ with their award as well as Jill Horan (Savills) with the ‘Best Female Player of Tournament’ and Peter Love (DTZ) with the ‘Best Male Player of the Tournament’ whilst the all teams tucked into a well earned BBQ.